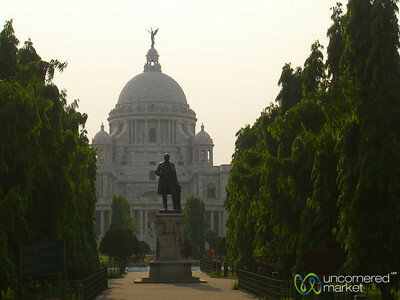 Built to commemorate Queen Victoria's diamond jubilee in 1901, but the structure wasn't completed for another 20 years. 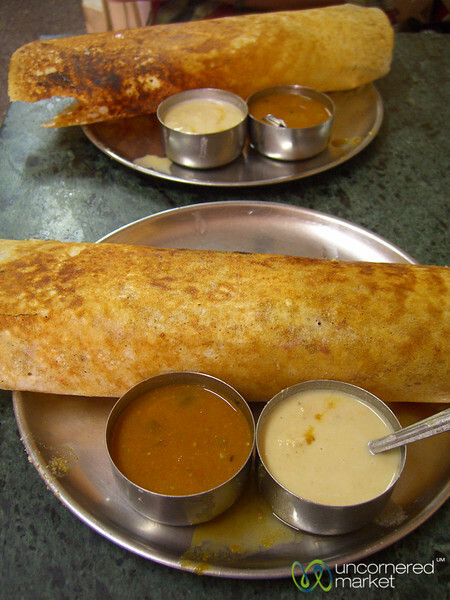 A masala dosa (southern Indian food) is a great way to start the day. 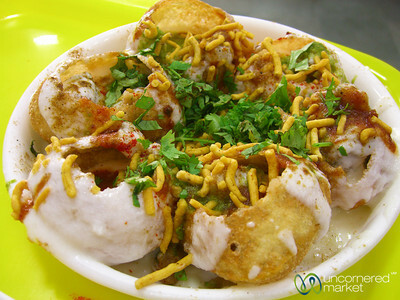 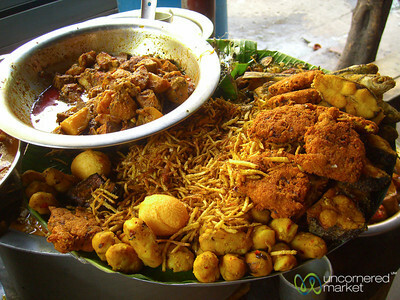 Eaten in the Chowringhee area of Kolkata, India. 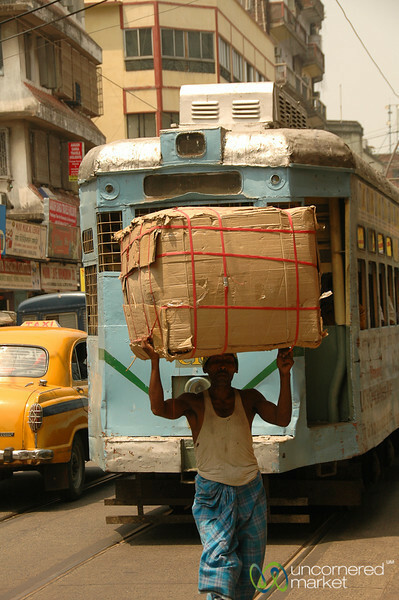 Kolkata still has a functioning and old tram system going through its streets. 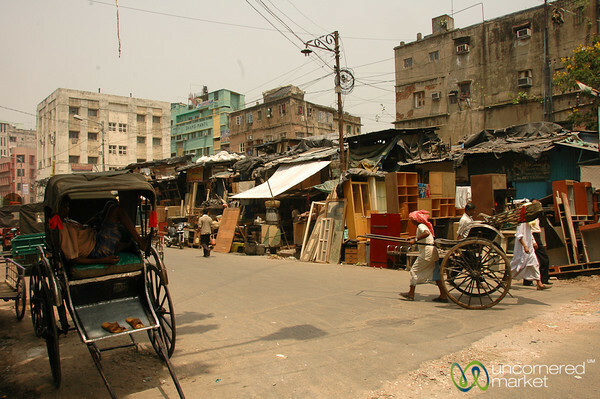 Manual labor repairing a road near our hotel in Kolkata, India. 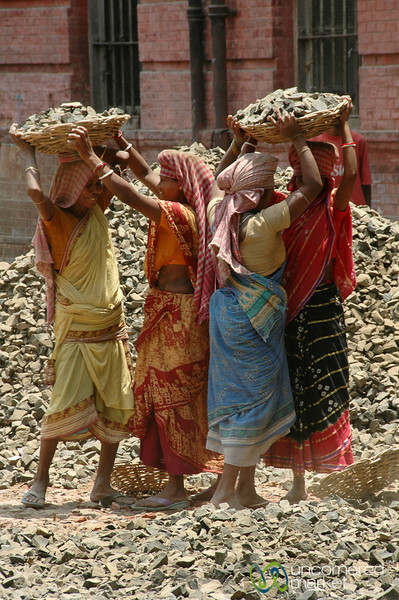 These women carried heavy, heavy loads of rocks on their head to move them from one area to another. 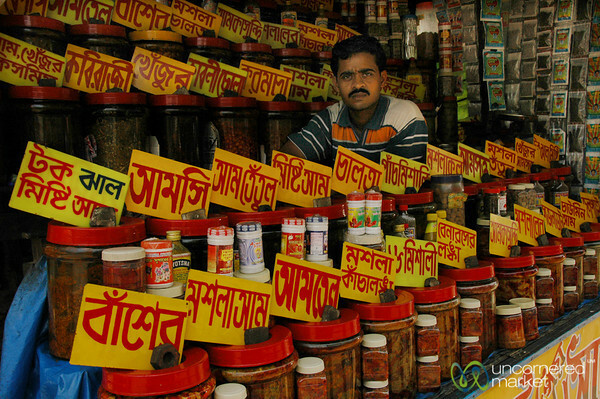 Spice and remedy vendor near Dakshineswar Kali Temple in northern Kolkata, India. 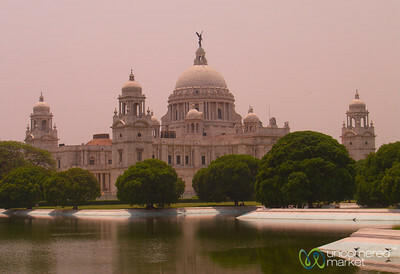 During a day of strikes in Kolkata, the streets were perfectly empty. 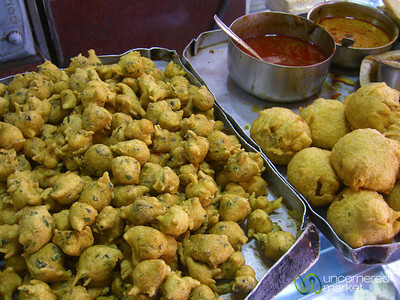 Kids took advantage of this by playing cricket. 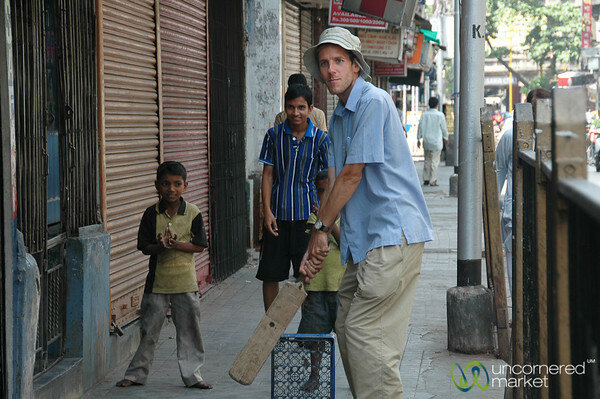 They invited Dan to join in. 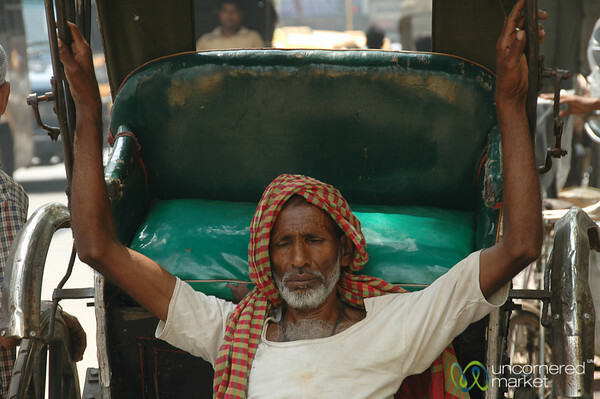 Although human-powered rickshaws have been phased out of many parts of India, they are still very common in Kolkata. 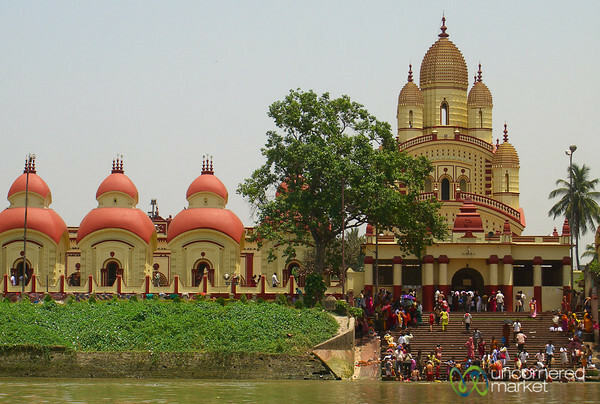 View of Dakshineswar Kali Temple and people bathing in the Hooghly River out the northern edge of Kolkata, India. 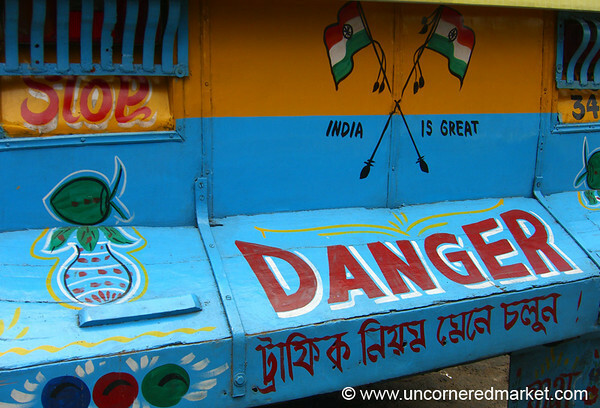 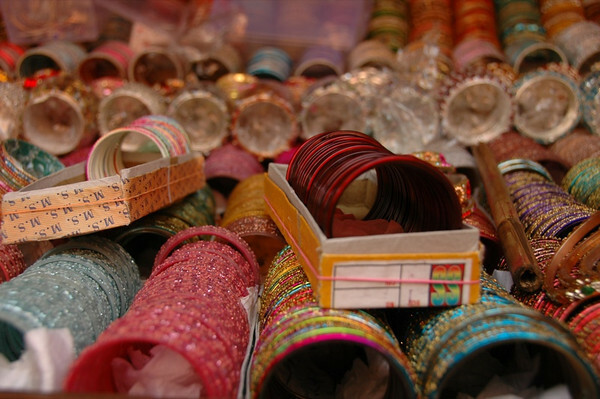 Taken in the Chowringhee area of Kolkata where there are a lot of stalls serving all the employees of the nearby offices. 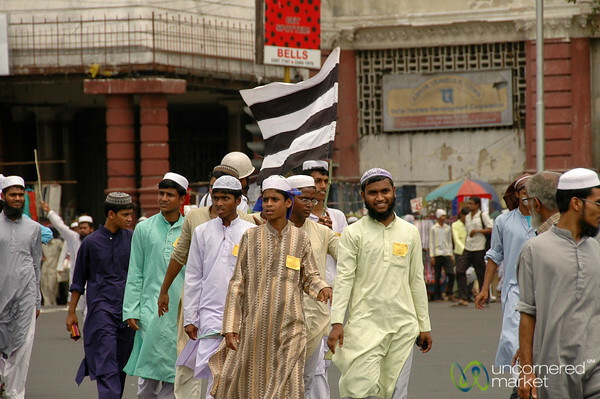 A group of Muslim men marched in the Chowringhee area of Kolkata, India. 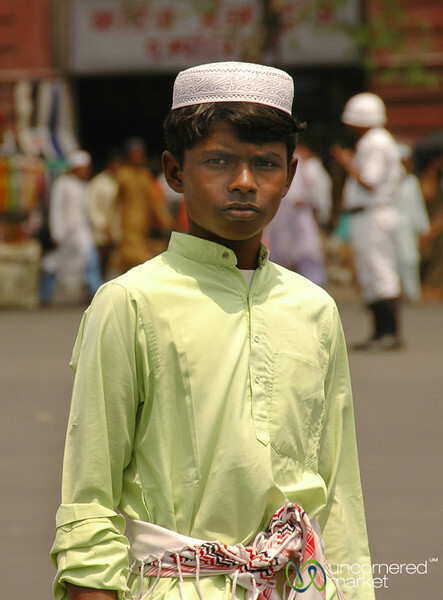 Street scene in Kolkata, India. 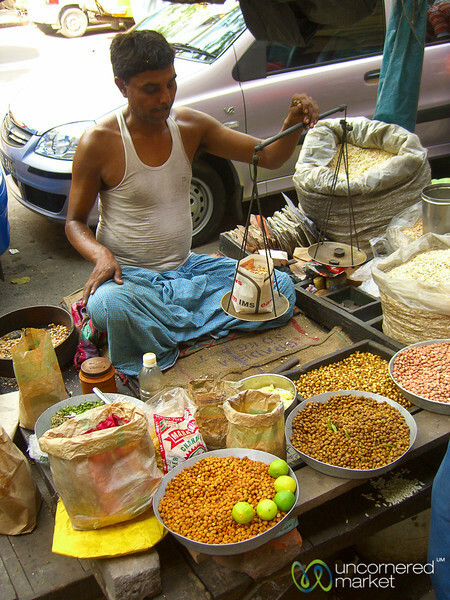 A vendor selling different types of peanuts and other snacks on the streets of Kolkata in India.